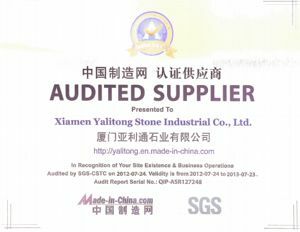 We are audit supplier by SGS since 2007, for more than 11 years. With its headquarters in Switzerland, SGS is the world's leading inspection, verification, testing and certification company. 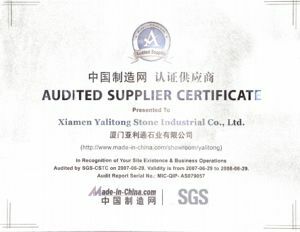 Founded in 1878, SGS is recognized as the global benchmark in quality and integrity. They operate a network of over 1, 250 offices and laboratories around the world with around 64, 000 employees. 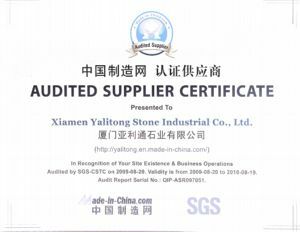 SGS-CSTC Standards Technical Services Co., Ltd. was founded in 1991 as a joint venture between SGS Group and China Standard Technology Development Corp., under the State Administration of Quality Technical Supervision. SGS-CSTC boasts over 50 branches and dozens of laboratories with around 9, 000 professionals working for the company. Their capabilities are competently embodied in servicing the supply chains of various sectors such as agricultural, minerals, petrochemicals, industrial, consumer products, automotive and life science. For years, SGS has geared up its innovation efforts and collateral resources in the areas of environmental protection, alternative energy, energy efficiency and low carbon initiatives. The testing, inspection and certification services we provide help local and overseas businesses, governments and institutions develop sustainable solutions that balance People, Planet and Profit.